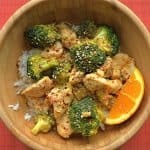 Orange Chicken and Broccoli Stir Fry is a simple 1 pan dish that is easily made in 20 minutes! Simple and healthy ingredients, but full of flavor. 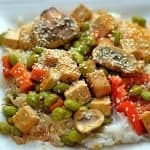 Both of my kids are big fans of Asian Food, I think part of it involves the amount of rice they love to consume with it, but nonetheless it is always greeted with enthusiasm. 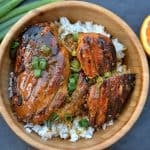 I love 1 pan dishes that are simple and healthy for busy weeknights. This is just another easy one that came together one night with ingredients I already had on hand. I let it simmer for another 3 minutes or so while the rice was finishing up. Done! Super easy, right? 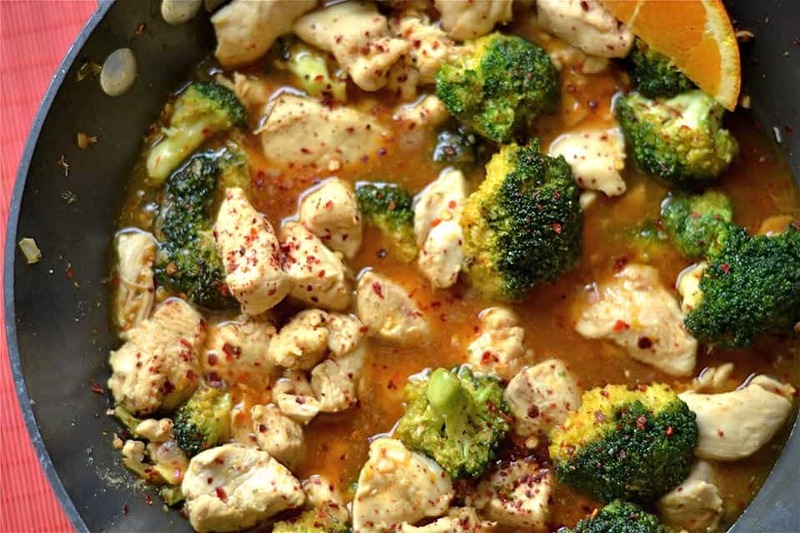 Heat up a large skillet or wok to medium high heat and add coconut oil, garlic, onion, and minced ginger. Lower to medium heat. While the mixture is cooking, chop up chicken and broccoli. Sauté for about 5 minutes or until onions are clear, add chicken and broccoli. 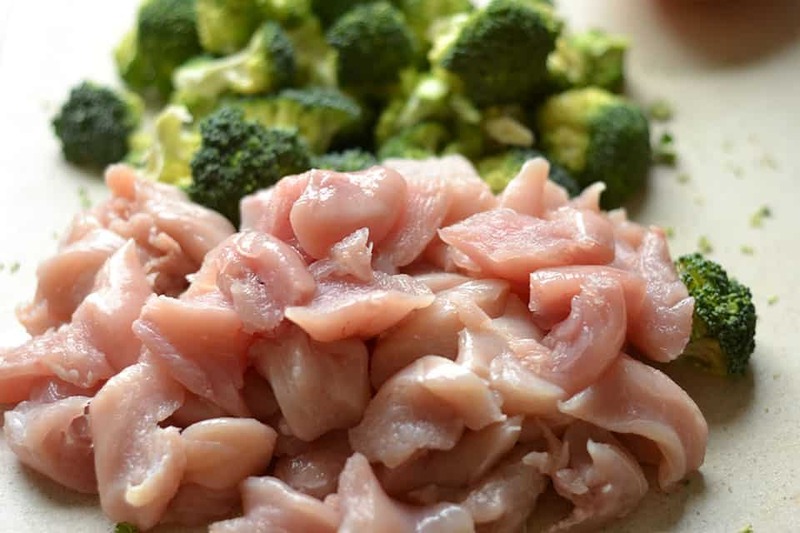 Cook for about 10 minutes until chicken is no longer pink and broccoli becomes crisp. 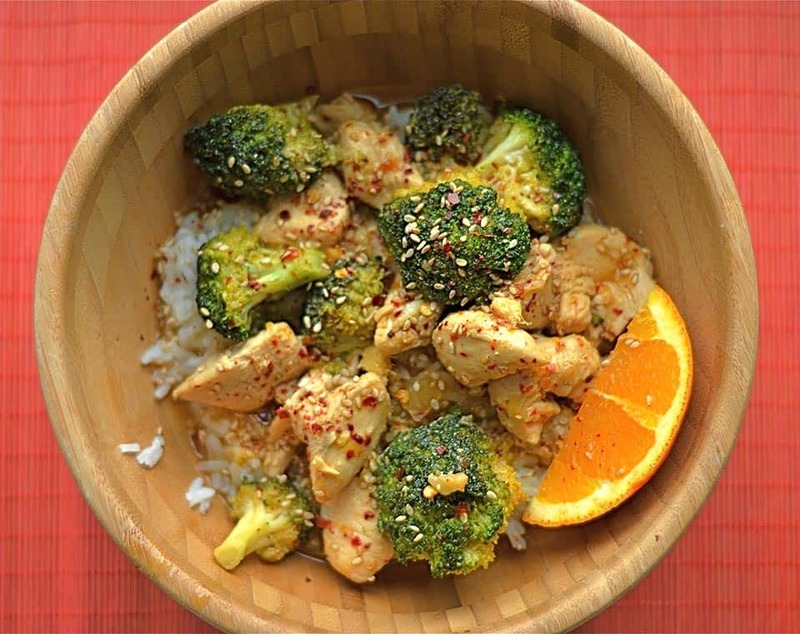 While cooking, whisk together orange juice, zest, sesame oil, soy sauce (or coconut aminos), honey, sriracha, and red pepper flakes in a separate bowl. 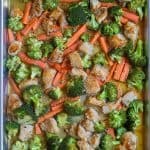 Pour over chicken and broccoli. Cook for another 2-3 minutes on low heat.